A blog with out readers, not just readers however ardent readers is sort of a farmyard with out vegetation. I certainly admire all people in this blog, from the supporters, nicely wishers, loyal lovers, ardent readers and commentors. with out you guys and women, my work here on this blog won't be encouraged. you guys and ladies are the excellent ever. I absolutely recognize your hobby in what I love doing most out of no fee. I am thrilled to announce to you all that MasterGBlog has clocked 1year and 3month of existence. it's no longer by my strength nor am lucky however its just the grace and privilege. we have now not done a great deal cos we're nonetheless very very young but i recognize absolutely nicely that the approaching years will be our years in all ramifications. i do not have a whole lot to present now than to percentage my understanding to who needs it in celebration of our new 15 months. you can ask for any assist from me or ask questions be it blog or technical assistance via the comment field beneath, and i'm able to provide answers respectively. don't be upset cos it is all what i will offer now. I have recently made our posts that is been posted here on this weblog smooth to subscribe for. you could never omit any of Our hot updates and other tech related posts in except you did not join/subscribe to our posts. I've made all subscriptions clean via facebook page/group, twitter, browser push notification, email and sms. you are free to join one or more of these platforms. you could even join all cos its very viable and endorsed. HOW CAN I SUBSCRIBE TO ALL THE PLATFORMS? It is very simple and won't take lots of it shows. To subscribe through Facebook, kindly Like our Fan Page and Join Our Fb Group . You will always get posted of latest browsing tweaks, science discoveries updates posted on this blog and different tech associated posts. To subscribe through Twitter, kindly Follow us on Twitter . You will continually get posted of recent browsing tweaks, science discoveries updates published in this weblog and different tech associated posts. 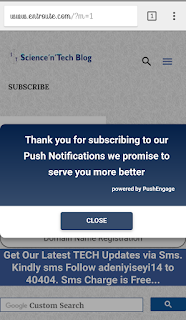 Recently, I introduced web browser push notification which permits you to enroll in our posts the usage of Chrome browser for laptop and android/ios and different browser that assist push notification but chrome is the best browser for browsing and that is what I myself use. Uc browser is only for download at the same time as chrome is the first-rate for surfing cos of its features and it guide push notification. you may join our posts the usage of chrome browser. once you go to this blog on chrome, you may get a popup asking you to allow notification. Mozilla, Opera and Uc Browser would not assist this feature. chrome is the best browser to get bests from websites. and its endorsed in an effort to use it to get entry to www.mastergblog.com.ng when accomplished, you may constantly get posted of new browsing tweaks, updates published in this blog and other tech related posts. You could additionally enroll in our posts through electronic mail (E-mail). am certain you can see the subscription field underneath every posts on mobile and at the left facet on pc view. 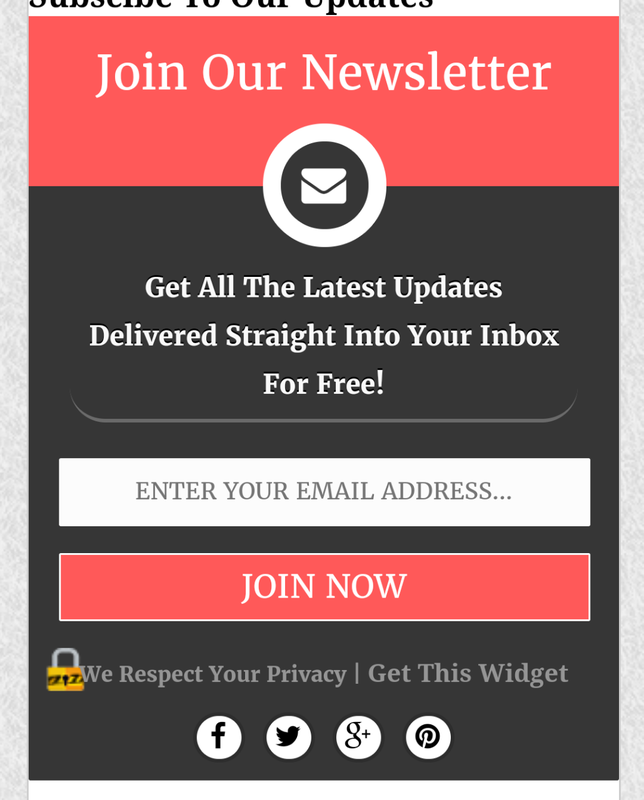 Just insert your accurate electronic mail deal with and visit your email to affirm the subscription. you will always get published of recent unfastened surfing tweaks, updates published on this weblog and other tech associated posts. We additionally have sms subscription. 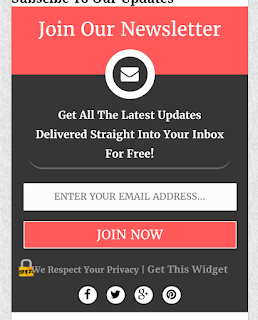 you can subscribe to our posts via sms. it's simple and its supported on all network. kindly sms Follow mastergblog to 40404. you will be welcomed to our sms portal. You will constantly get posted of latest free surfing tweaks, hot updates posted on this blog and different tech related posts. We additionally have an active and open organization chat exclusively for MasterGBlog on Telegram, you are free to join us by clicking on the above group link. 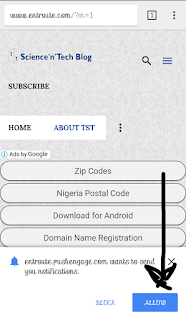 Now that we have got you covered similar to MTN - (Everywhere you Go)... you may never go a day without being updated in case you enroll in all of the platforms i stated above. even whilst you are offline in this blog, you may get up to date. I dont get you sir... What do you really mean?